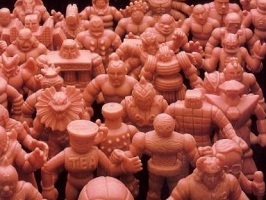 An antiquated idea takes a look at an antiquated M.U.S.C.L.E. website. And something I didn’t see. This week takes a look at a huge, huge mistake. This is not a groundbreaking Batman v Superman update. But hopefully some news is more fun than no news. Technically this is a Batman v Superman update. On the level of importance, it would rank it pretty low. But, some news is more fun than no news. Hopefully.